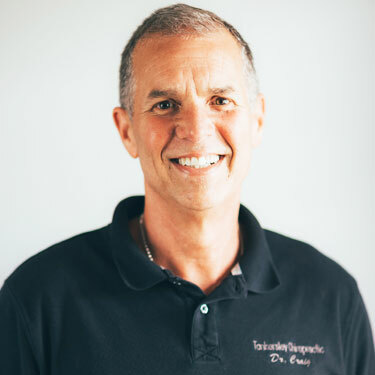 In 1993, Dr. Craig obtained his Doctor of Chiropractic from Cleveland Chiropractic College. He also is certified in acupuncture in the state of Tennessee. Additionally, he is certified by the National Board of Chiropractic Examiners in both chiropractic and acupuncture. Dr. Craig also completed a course of study in the diagnosis and treatment of whiplash injuries at the Spine Research Institute of San Diego. Because he values your time, Dr. Craig takes a direct approach. “I understand you don’t have the time nor the patience for health problems. I also know full well that my patients and the people in this community have zero tolerance for BS. As a health consumer myself, I know that we are asked to jump through hoops to get answers or solutions to our health problems.” That’s why you can count on Dr. Craig to identify the problem you’re dealing with quickly and fix it efficiently. When he’s not at Tankersley Chiropractic, Dr. Craig enjoys spending time with his wife Laurie and his stepson Tanner. Two cats named Big Kitty and Little Kitty round out the family. He still enjoys surfing and fishing when he can get back to Florida. Dr. Craig also stays active professionally; since 2005, he’s been a member of the Rotary Club and Chamber of Commerce in Hendersonville. If you’d like to experience better health, contact us today to book an appointment with Dr. Craig!